Bitten by the dog bug and smitten by so many wonderful four-leggeds of late, cuddly canines have been a source of inspiration in the studio this year —much to the chagrin of my faithful feline companion (sorry Sprouty Bear). 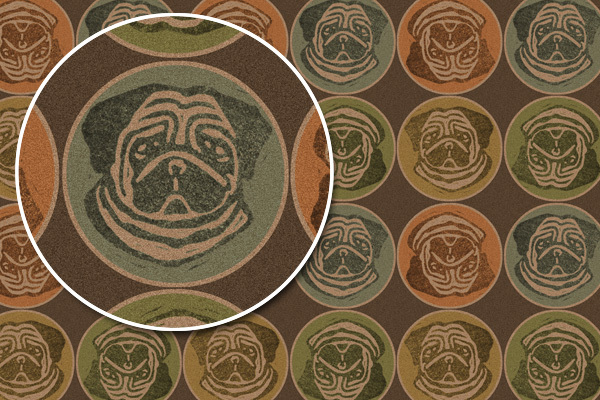 Thought this textured parade of pugs would make delightful all-occasion wrapping paper for dog lovers of all stripes. Do you have a favorite breed? Leave a comment and it could turn up in my next suface pattern design. 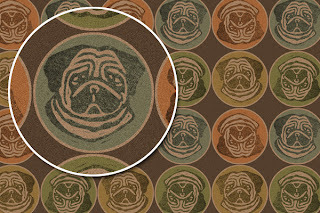 I love the pug paper! :D I like pomeranians on an aesthetic level, but I've been told they are psycho so I don't think I'll ever actually get one. ;) Great work!